 Rutgers, The State University of New Jersey, has a unique history as a colonial college, a land-grant institution, and a state university. Chartered in 1766 as Queen's College, the eighth institution of higher learning to be founded in the colonies, the school opened its doors in New Brunswick in 1771. In 1825, the name of the college was changed to honor a former trustee and Revolutionary War veteran, Colonel Henry Rutgers. During the first decade of the twentieth century, only one college in New Jersey admitted women. The College of St. Elizabeth, which had been founded by the Sisters of Mercy in 1899, graduated its first class of four women in 1903. To increase women’s access to higher education, the New Jersey Federation of Women’s Clubs launched a campaign to create a public liberal arts college for women that would be non-denominational and affordable. Under the leadership of Mabel Smith Douglass, a Committee of the Federation of Women’s Clubs devised a multi-pronged strategy to create a space in which women would have comparable educational opportunities to men. Pointing out that federal land-grant funding for Rutgers was being used exclusively to benefit men, who comprised less than one-third of the high school students in the state, Douglass mobilized school superintendents and principals to support higher education for women. Lobbying wives of members of the Rutgers Board of Trustees, Douglass creatively deployed their influence to help persuade the President and the Board to allocate land and a building for the new college. Throughout the third and fourth decades of the twentieth century, the college offered public higher education to women, growing in size and reputation. The first class of 42 women graduated in 1922. In 1955, the college was renamed Douglass College in honor of its founder and first dean. Since 2007, Douglass is the only residential women’s college in the nation that is housed within a world class public research university. Building on the early initiatives at Douglass College, Rutgers, in the late 1960’s was among the first schools in the nation to offer courses in Women’s Studies and to encourage path breaking new research on women and gender. By 1970, Rutgers established a Women’s Studies Program. Rutgers was also one of the leaders in offering educational programs on women in public leadership, and in 1971, the Center for American Women and Politics was founded at the Eagleton Institute of Politics on the Douglass College Campus. Throughout the 1970’s and 1980’s women’s education at Rutgers expanded and, across the nation, women’s studies became a major social, political, and intellectual movement in the United States. The Institute for Research on Women was founded at Rutgers in 1971 and in 1989, the Center for Women’s Global Leadership was founded at Douglass College. Today Rutgers is home to the largest and most distinguished collection of academic units devoted to women and formally connected since the early 1990’s as the Institute for Women’s Leadership Consortium. In the late 1980’s Mary S. Hartman, then Dean of Douglass, began to meet informally with the directors of the women’s programs and centers located on the Douglass campus. These gatherings became a forum for working collaboratively to develop and strengthen women’s education at Rutgers and to consider the critical underrepresentation of women in leadership in all arenas at the local, national and international levels. In 1991, under Mary Hartman’s leadership, the directors formed a consortium to address this underrepresentation. Declaring the mission of the Institute as “dedicated to examining issues of leadership and advancing women’s leadership in education, research, politics, the workplace, and the world,” the founding directors established the Institute as a collaborative enterprise, the nation’s first such consortium dedicated to women’s lives and leadership. Shortly after its founding, the Institute added the Center for Women and Work, directed by Dorothy Sue Cobble at the Rutgers School of Management and Labor Relations (1993). In 2007, under Judith Brodsky and Ferris Olin’s leadership, the Institute for Women and Art (now the Center for Women in the Arts and Humanities) joined the consortium. 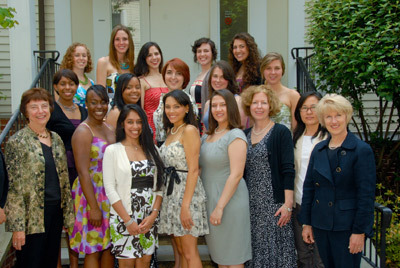 In 2008, the Office for the Promotion of Women in Science, Engineering and Mathematics, under the direction of Vice President Joan Bennett, became the eighth member unit of the Institute for Women’s Leadership. 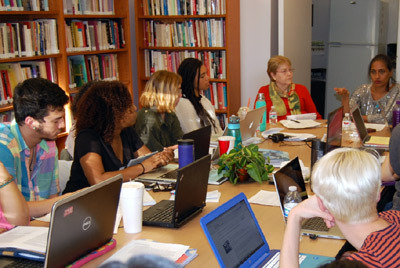 The Center on Violence Against Women and Children, directed by Judy Postmus, became the ninth consortium member in 2011.